Construction is hard, but it can be a little easier. Learn more about how construction professionals can work smarter, not harder. Is Your Business Ready for the Next Big Project? 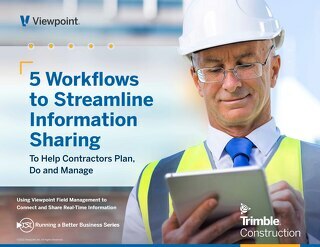 Gain access to five workflows that help make information sharing between the office, team and jobsite easier with fewer challenges. Yes! You're organization just won that massive project. Are you ready for it? 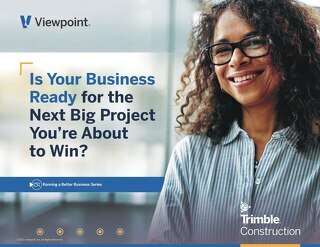 Is your construction organization ready? Find out in five minutes or less. 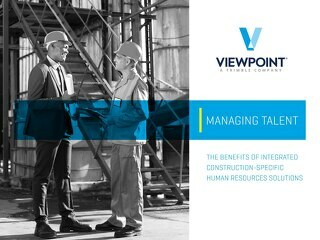 More than 8,000 contractors use Viewpoint software to streamline their processes, reduce risk and increase profits. 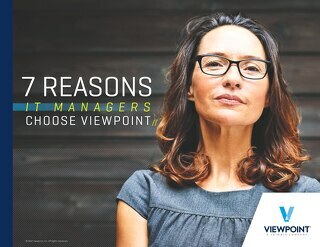 More specifically, IT Managers are comfortable with Viewpoint software. Practical steps to achieve data Integration between office, team and field employees can alleviate pain points associated with disconnected systems. 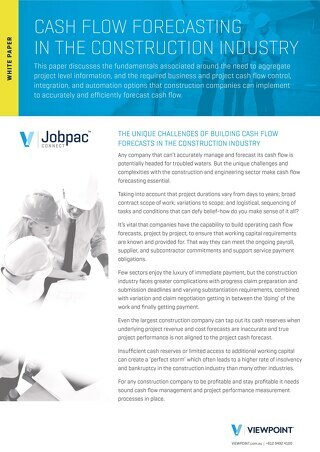 A discussion about the fundamentals associated around the need to aggregate project level information, and the required business and project cash flow control. 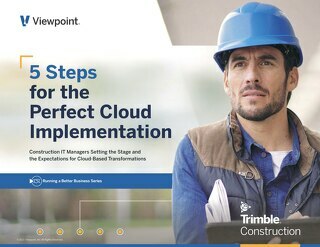 IT Managers set the stage for a five step, cloud-based software transformation in the construction Industry. 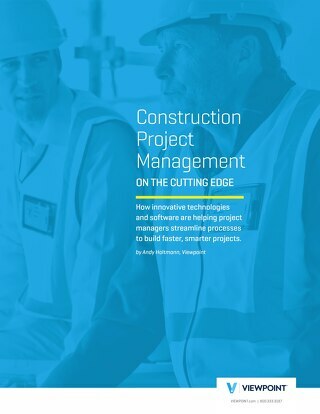 How innovative technologies and software are helping project managers streamline processes to build faster, smarter projects. As integrated project-delivery methods gain popularity in the US, the use of BIM is also growing. Read the e-Book to learn more. A well-designed BI solution can extract insights from all your data sources, provide analytical capabilities, show the impact of current decisions based on the past, and connect all departments. 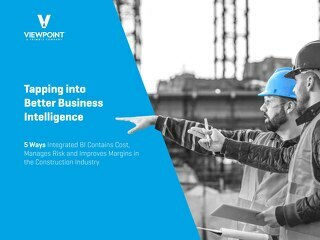 Experts say not using Business Intelligence for construction could result in billions of dollars of profit loss for contractors. 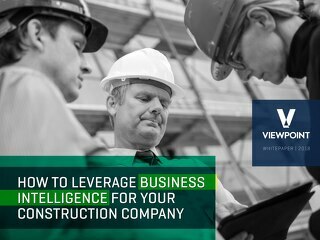 Learn to use BI in your construction organization with this eBook. It may seem difficult to keep pace with an evolving industry, but it doesn't have to be. Five steps can help your construction organization keep up. 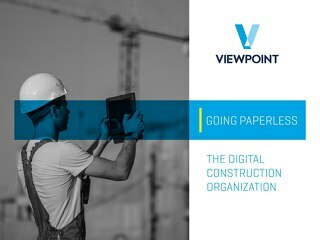 Making the move from paper or spreadsheet processes to digital can greatly impact the success of an entire construction organization. 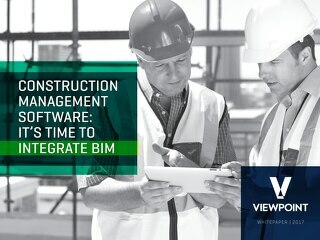 Learn more about a successful digital construction organization. 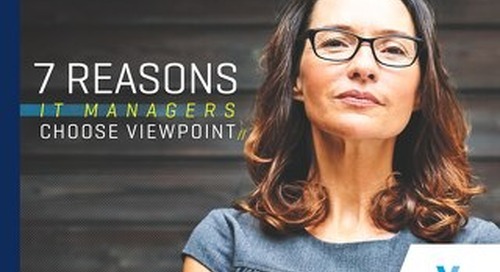 It's no secret that our clients are big fans of our HR Management tool. 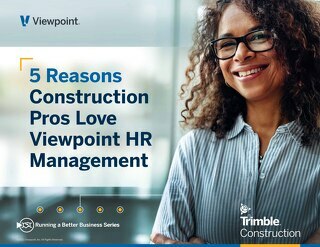 In this eBook, we share 5 reasons why these construction professionals love using the tool. Implementing human resources technology can help attract and hire talent during a labor shortage. Learn more. The results are in! We asked our clients why they decided to move their construction software to the cloud. Learn what they shared with us about time and money savings as motivation to move. A lot of data can be extracted from various projects. How can that data be used to drive business success? 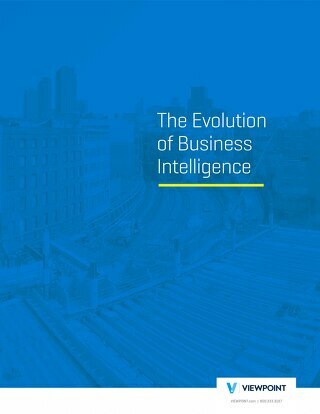 Learn more about the evolution in business intelligence. 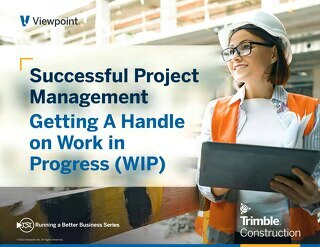 Successful construction project management includes handling WIP. Get a handle on work-in-progress and gain project management success. Learn more. Managing complex construction projects with several subcontractors can be tricky, but there are tips to the tricks. Get best practices for subcontractor management. 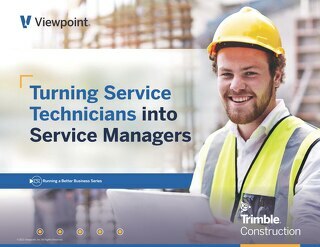 Making sure technicians feel empowered to be their own managers is key to completing a successful construction project. Learn more. 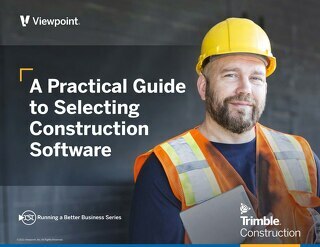 Choosing the right construction software that will actually save your company time and money is a challenge. Here are some simple steps to follow to help you make the right, and profitable, decision.